So you want to build! Whether it’s a new building, addition or alteration, when building in Tasmania the process is generally the same. Much of the preliminary work can be done by yourself, however unless you have some experience when discussing with council and other authorities our advise is to engage the relevant consultants to do the leg work on your behalf. In an effort to help you understand and follow the process here are a list of key activities to help so you know in advance what the next step will be. 1. Prepare before you engage any consultants. Have some ideas of what you want in your project and the type of designer that is best suited to you and your needs. Generally you can select between Building Designers and Architects for all new work including additions, bearing in mind the scale of your project and relevant budget. For small alterations or modifications an Interior, Kitchen or bathroom designer may be better suited. You don’t have to be too specific at this stage. That will follow. One idea that works well is to have a ‘scrapbook’ of ideas and a written description of your needs. Note form works well and the scrapbook only really should contain elements and styles you like without to much detail. This will help your designer gain a clear understanding of your requirements and assist you when selecting your designer. Ask for and understand the service offered and associated fees. All consultants should provide you with this information as a part of their submission to you. Most designers will ‘package’ a service to you which includes the design and documentation, surveying, engineering and all other relevant consultants. See ‘My project type’ at the top of this page for a more specific list. Should you have specific consultants you would prefer to use, discuss this with your selected designer. At this stage you are ready to engage your designer. 2. Working with your appointed consultants. The beginning of the design process will generally commence with your appointed designer guiding you through ‘their’ process. Here are a few tips to ensure your project runs smoothly. Generate a detailed wish list. This includes such things as form, function and the feel you want. Time to get out that ‘scrapbook’ and ‘notes’. Be as detailed as you want. This most often will include a meeting on site to give your designer the most detailed understanding. Review the wish list with more discussion and alter if required. It is advisable, unless previously conducted, to have a preliminary discussion with council to see if there are any glaring issues that may restrict, in any form, what you want to achieve. This will include a check of the relevant parts of the council planning scheme. 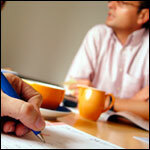 See ‘Councils’ at the top of this page for your planning scheme guidelines. It’s now time for your designer to commence the design development process. To start this process your designer may arrange a site visit, which could at this stage include a site measure, site survey and/or soil test. Some visits may best apply later in the process but are still generally required. A check of the local council planning guidelines. Any site restrictions or limitations. The location of underground plumbing and services (Dial before you dig). Arrange for your first appointed meeting with your designer to discuss the preliminary design. Your designer will continue with the design development until you reach a point where all requirements are met and your ready to lodge your ideas with council. You may consider, with the guidance of your designer, appointing an interior designer / colour consultant to assist with the desired look and feel. Some designers provide this service themselves and others engage specific consultants to work alongside. Discuss your options with them. You may also consider preliminary discussions with a chosen builder. This can be a benefit in some instances so the builder is familiar with the designers ideas and provide input if requested. 4. The council application process. Once the design is approaching finalisation, addressing your requirements and considering council planning scheme guidelines, a pre planning assessment is conducted, involving a meeting with a council planner. Unless previously determined by your designer, this will confirm if in fact a planning application is required. A development (planning) application be required it will take, on average 42 days for approval. The council planning process may identify additional information required specific to the council planning requirements, overlays, precincts and site location. Your designer may have already considered some of these, if aware of the requirements, during the design phase. Not all planning applications run smoothly. If your planning application is ‘discretionary’ by council definition it is required to be advertised. A public notice is placed in the local newspaper, your neighbours are advised in writing and plans are placed on public display within the council offices. Should anyone object to your proposal they have a right to represent their issues to council in writing with their concerns and it is up to the council planners or committee to consider these concerns when determining a decision to approve or not. If the application is approved those who made representation to council can now appeal to the planning appeals tribunal which is independent of council. Through process the tribunal will make a decision to support council or not. Alterations to the design may be required to keep all parties happy. If no appeal is made to the planning tribunal your approval will stand firm and you can proceed to the building and plumbing application stage. If the application is refused then you as the applicant can appeal the decision to the planning appeals tribunal. Through process the tribunal will make a decision to support your application or not. This may also result in alterations to the design. Either way much time, money and emotion can be consumed when a decision is not favourable to all concerned. Your designer and appointed consultants will help and advise you if this situation is looking likely. Following your planning approval, ‘Substantial Commencement’ of your project must be made within 2 years or the the planning approval will lapse. If it is unlikely for you to commence construction within this time-frame you can apply to your council for a one off extension of an additional 2 years. If either the of these time-frames lapse, your approval is cancelled and a new application must be made. Upon receipt of a planning approval and no threat of any appeal to your design, plans can now be completed in preparation for a building and plumbing application. Soil test and waste water assessment is conducted, if required and not previously done. All engineering design and specifications are confirmed and details incorporated into the working drawings. All relevant consultant reports are completed and incorporated. The working drawings are completed. All engineering is certified by the appointed engineers. An application to TasWater is prepared. 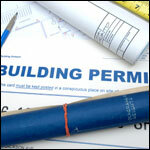 A Certificate of likely Compliance is provided by the appointed building surveyor. The application is approved by TasWater. The building and plumbing application, with all the certificates and approvals are lodged to council. Council building and plumbing approval will now be granted after assessment. 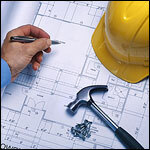 Your designer or agent will ensure you receive the approved plans and documentation. Experience has shown that an allowance of 26 weeks, from concept to council approval is generally required for most projects involving new homes, additions / alterations and anything commercial, when requiring development approval. This will always vary. The nature and scale of the project will determine the time needed to get all your approvals in place. Small projects such as decks, sheds and garages, that require planning approval, still go through the same process and could take as long as larger projects. If planning approval in not required, in some states, (eg Tasmania) you could be exempt from requiring council pre-approval. Your designer and/or building surveyor will explain your options. For all projects, if a development application is not required you could save up to 6 weeks. Your appointed Designer will assist you with a more accurate timeline. Generally ‘Substantial Commencement’ must be made within 1 year of your Building and Plumbing approval and completion within 2 years. This is normally at the discretion of your building surveyor and/or compliance authority. If in doubt, discuss this with your building surveyor for your specific project. Now you should learn more about the consultants that will help you through this process. You can access them from the home page, by reviewing the Consultants category or searching via My Project Type. If you would like to find a specific consultant, for your area or project type please use the search filter in the right hand column of any page. That’s about it. As you can see, a fair bit goes into the design and approvals process. But now you have all your final design and approvals in place it’s now time to find a Builder. We all know what builders are and generally what they do. What a lot of people don’t realise is that not all builders or building companies suit every job. It is always important, for your sanity and good will to select your builder carefully, based on their area of expertise and experience. As an example, some builders specialise only in small alterations and some will only do new houses. Of course there are builders and building companies who only do large commercial projects. Some can work with steel and others will only work with timber. As with all trades and consultants it is good practice to select only those who carry accreditation. Before contacting a potential builder for your project prepare a check list to ensure they are the right builder for you before discussions go too far. To help you make the right decision when selecting a builder we have prepared this article titled the right builder for your project. We trust this will help. Frightened by the prospect of submitting your project documentation, to the relevant authorities, i.e. Councils & Building Surveyors. Contact Abel Drafting Services, for a hassle free experience and receive your Building Permit, allowing you to start building. Our clients our often looking for guidance like this, so this will be very useful for them. After reading your article about the process which I have to undergo to have a house built, I am now sure that I would require the assistance of a builder. Though I have an idea of the design I want for my home, having professional advice would hasten the process of creating a plan which may lessen the time in seeking the approval of the council for the planning application and ensure that no one would find the need to appeal against my proposal. Such builder that can assist in the documentations and processing of requests would also be helpful since the building itself can not be done unless the approval of the council and tribunal is required. Though it may cost more than just the construction itself, the hassle saved in time, effort, and alterations will certainly offset it. Do I really have to go through all this to complete my project – I have a Federation-style home with a central hallway – I wish to insert a wall in the hallway, to divide the house into 2 flats, both which would be considered large flats. Bathrooms already in place, would need to install kitchenette, etc. I realise that I would need to pay attention to sound-proofing, fire hazards, plumbing, electrical, but the rest is very basic – no designer needed, it’s not listed as a heritage property. Why would the process have to follow all those steps outlined above? Changing from one single dwelling to two flats does require the full process. You need planning approval and you need building approval for the separation of the two tenancies.